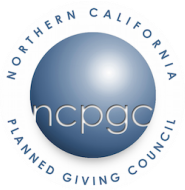 ​Program Description: Part 1: Peter Gielniak will speak about the ups, downs, ins, and outs of launching or re-launching a planned giving program, including what you need, how to talk to your Board, and what to expect. Register by January 16, 2018. $10 Price Increase for Luncheon Registrations at Door. Cancellation Policy: For a full refund, requests need to be submitted a minimum of 48 hours prior to the event date.